Its native place is probably Persia. 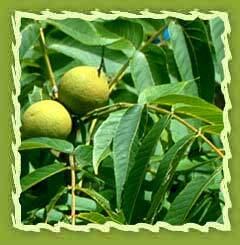 Other varieties of Walnut, the Black Walnut, the various kinds of Hickory, etc., are mostly natives of North America. The tree grows to a height of 40 or 60 feet, with a large spreading top, and thick, massive stem. One accurately measured by Professor du Breuil, in Normandy, was upwards of 23 feet in circumference; and in some parts of France there are Walnut trees 300 years old, with stems of much greater thickness. Walnut oil has great emollient qualities and is a good choice to include when mixing a massage oil or preparing a carrier oil blend. Chemical constituents:: Walnut essential oil has various chemical compounds that include Eicosenoic, Arachidic, Alpha Linolenic, Linoleic, Oleic, Stearic, Palmitoleic, Palmitic. Extraction: It is extracted by the cold expression of the kernel. It is a bitter astringent herb that soothes irritated tissue and has laxative and expectorant properties. Walnut oil is a pleasant nutty smelling oil and contains small amounts of GLA. It can be used in a base/carrier oil blend. The Commission E has approved the use of walnut leaves for mild, superficial inflammations of the skin and excessive perspiration of the hands and feet. In folk medicine the leaves are used for respiratory problems, such as chronic cough and asthma, constipation and urinary stones; while the rind of the fruit is used to treat diarrhea and anemia. In Chinese medicine it is used for lumbar pain, weak knees, frequent urination, wheezing and constipation. Externally it is used for a selection of skin complaints, which include herpes and eczema, acne, inflammation, sunburn, itchy scalp, perspiration, as well as eye inflammations and hair loss. 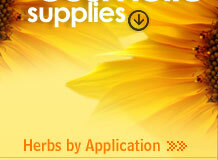 It is also often used to treat itching scalp, peeling, dandruff, sunburn and superficial burns. Walnut oil is light-colored and delicate in flavor and scent, with a slight nutty quality. Although it is used for pan frying but is not used regularly as heating can remove some of the oil's flavor and produce a slight bitterness. It is used primarily as an ingredient in cold dishes such as salad dressings. The most common modern application of walnut oil is by painters where its hard-wearing properties and luminous colours make it desirable for both interior and exterior use. Its slow-drying properties have recently been used paint on glass animations. Its quickness of drying and lack of yellow tint make it a good oil paint thinner and brush cleaner. walnut oil is favoured by wood workers as a finish fimplements that will come in contact with food, such as cutting boards and wooden bowls.